Remanufacturing is a comprehensive and rigorous industrial process by which a previously sold, leased, used, worn, or non-functional product or part is returned to “like-new” or “better-than-new” condition, from both a quality and performance perspective, through a controlled, reproducible, and sustainable process. 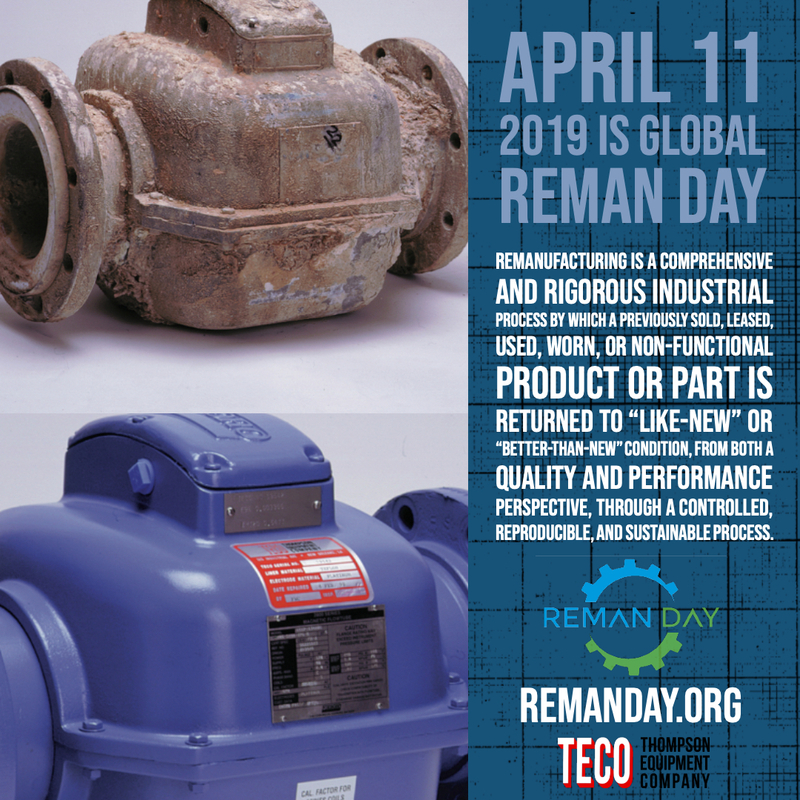 Global Reman Day is a day to advance the remanufacturing industry through remanufactured-hosted events and workforce development initiatives. Remanufacturing is good for the environment and the economy. Thompson Equipment (TECO) has been a pioneer in the remanufacturing of process instrumentation and flow meters for decades now, and continues to innovate in these areas. The positive environmental impact remanufacturing instrumentation has on the on the environment has always been crystal clear to TECO. Ending up in a dumpster is a terrible waste of reusable component parts. With a little effort, experience, and knowledge, a wide variety of used process instrumentation can be brought back to life, arguably better than new. Another benefit is the remanufactured item generally comes with a considerable cost savings over new. Promotional, educational, and technical events are being held on April 11 all over the world! 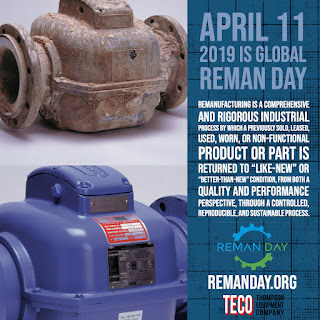 To find out more about Reman Day, and remanufacturing in general, visit https://remanday.org.